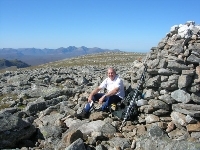 Beinn Dearg is the highest and most impressive of its group. 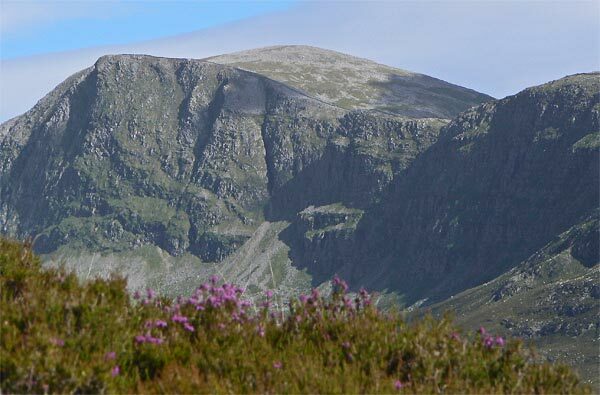 It is a massive mountain with crags lining its N and E faces, most impressive of which are the magnificent cliffs of Coire Ghranda, which separates Beinn Dearg from Cona' Mheall. 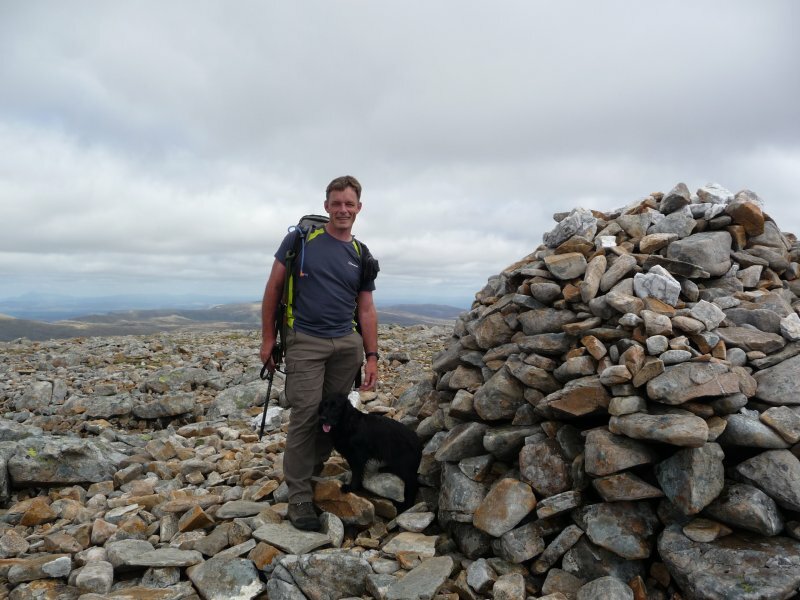 An ascent can be made via the S ridge, starting from the road by Loch Droma, but this requires crossing the Allt a' Gharbhain which is risky in all but the driest weather. There is however a path from Lochdrum onto Meall Feith Dhiongaig which will take you higher to cross smaller burns. 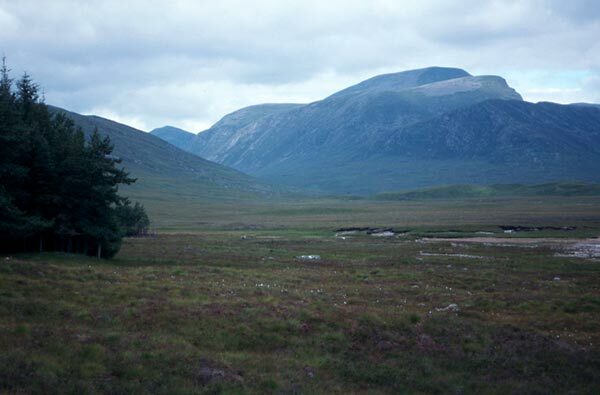 Other possible access route are via the NW ridge, which forms the S wall of Gleann na Squaib, direct from the bealach at the head of Gleann na Squaib up the steep narrow NE ridge, or on paths from the A835 at Braemore Junction. Beinn Dearg from the west end of Loch Glascarnoch (telephoto). Beinn Dearg from the path on Druim na Saobhaidhe, to the north- west; 26th June 2007. 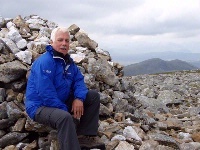 The summary information of one or more ascent routes that include Beinn Dearg [Ullapool]. 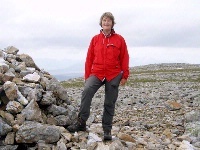 Post a few words about Beinn Dearg [Ullapool] or read what others have had to say. An imposing hill, I prefer to walk in from the south rather than Inverlael as the corrie/lochan between (and ridge over) Conival is superb and usually deserted.